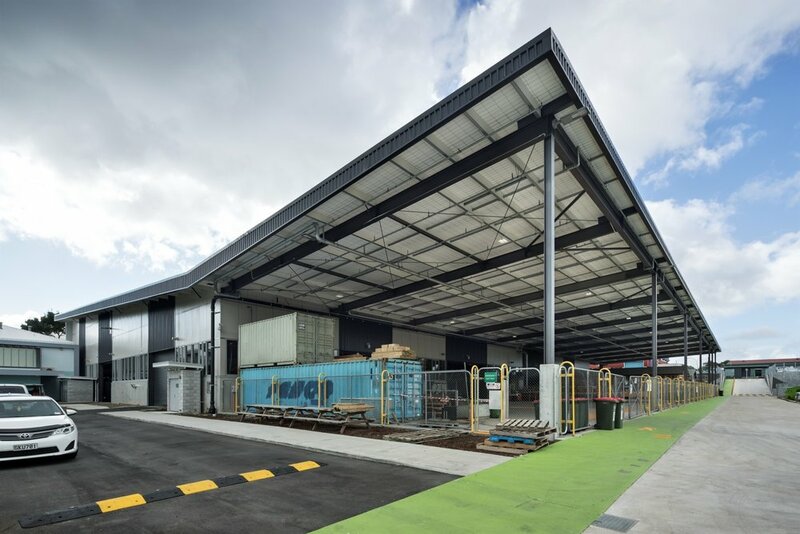 Mataaho is a purpose-built flexible teaching environment at Unitec's Mt Albert campus, with a focus on the construction and automotive trades. The project was a collaboration between user groups and the design team. The outcome is a building that is leading the way in open environment trades training in Australasia. Initially briefed as a two-part building to accommodate both the Technology & Built Environment faculty along with the Performing Arts faculty, the Stage 1 development provides some 7000m² of workshop, simulation labs, support spaces and covered building courtyards. The design philosophy provides teaching environments that support both hands on and research-based learning. The workshop is arranged into zones defined by storage racking and circulation walkways. Different disciplines work within bookable spaces. Limited enclosed spaces within the workshop supports flexibility. The Automotive Emulation Lab on the mezzanine level could equally be a studio space for project learning and breakout or be reconfigured into additional workshop space. The form of the building is driven by the roof which folds at the threshold between the internal workshop space and the building courtyard. This roof will wrap up the Performing Arts tower when completed after stage 2. The building is located across an escarpment, providing ground level entry at both the workshop and mezzanine levels. New roads were constructed to link the upper and lower levels externally as well as providing access to a future car parking building. The natural formation of the escarpment was a primary driver for building orientation. A large covered courtyard to the west and south of the building provides covered teaching spaces for small house building and for drain laying. Spatial programming requiring maximum flexibility of space is the primary innovation driver. The open workshops and courtyards can be used by students and tutors. Spaces can be easily reconfigured by staff within 24 hours to suit their specific requirements.